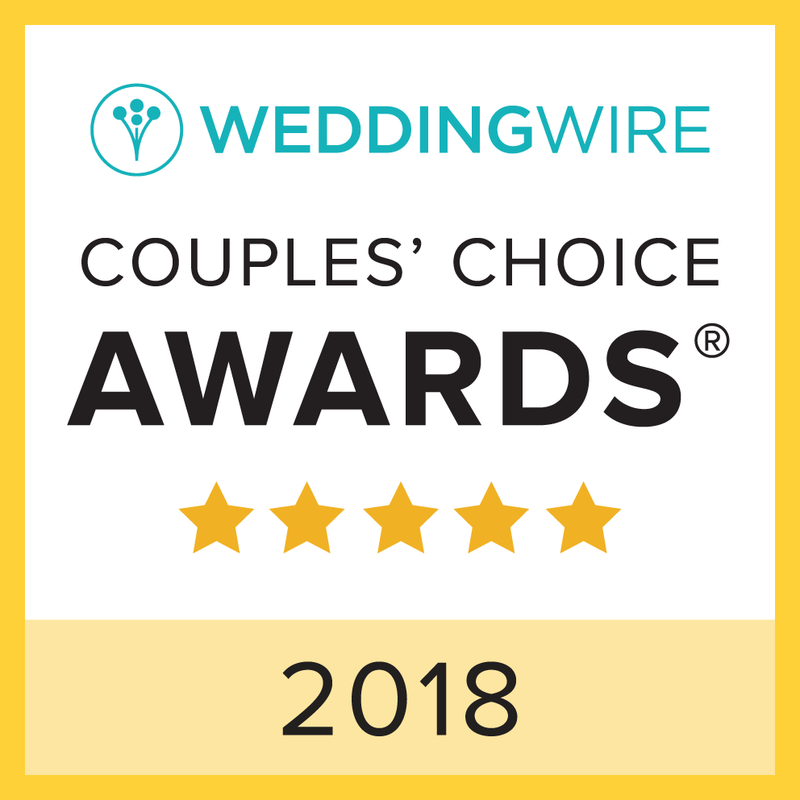 You’ve finally settled on your wedding date and location, now for the hard part – finding vendors who are within your budget. The Outer Banks is very isolated and there are not bakeries on every corner like you may see in the city. There aren’t many choices when it comes to cake vendors and although they can create beautiful works of art, such as the popular Sandcastle Cake for your beach wedding, you will pay top dollar for these cakes. For most budget-friendly weddings, spending $900-$1800 (not including the delivery fee) on the cake alone is out of the question. Don’t panic. Cakes also come with all sorts of additional fees that you may have never even considered. Some caterers will charge you $1.00 per slice just to cut the cake and will charge you even more to pack up the leftovers. You may also be charged for the extra dessert plates and silverware. You’ve already “stepped out of the box” by choosing a destination beach wedding, so why not continue with the DIY, make-it-your-own theme? Beach weddings are much more casual than a formal church wedding, so you should not be afraid to do things a little differently. Here are some ideas that you might think about before spending a fortune on a cake. All options listed can be coupled with the actual traditional “cake-cutting” if you get a small round cake for photos. 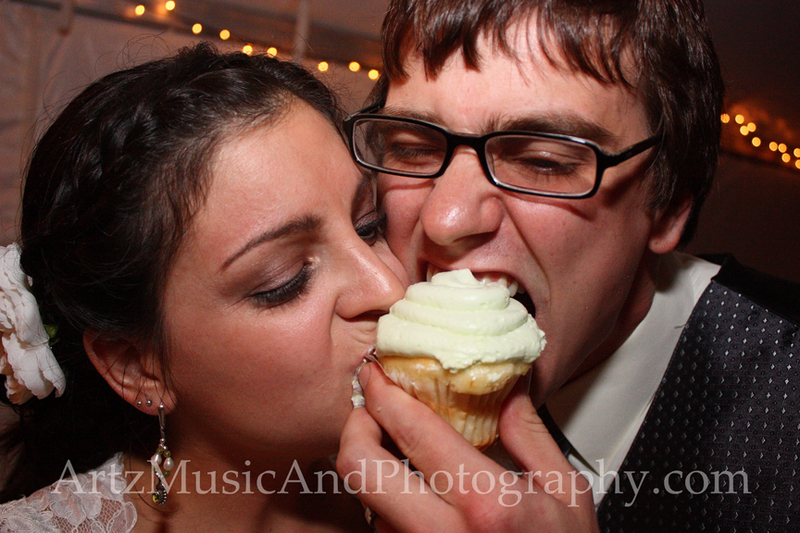 *Make sure you discuss with your fiance what may happen if you feed each other cake (to smash or NOT to smash). You can have a cake topper with this option as well. -Cupcakes! You can order cupcakes from our local Harris Teeter (or make them yourself) and buy a cupcake stand or cake tiers online for a tiny fraction of the price of a local vendor’s cake. Click here to see an affordable example! -The Candy Bar! Shop around your local thrift stores for neat glassware to display an assortment of candy on a table in lieu of a fancy cake. If you provide bags, the Candy Bar can also serve as your wedding favors. It’s always good to print up little signs to display the instructions to your guests. -The Chocolate Fountain! You can slice a pound cake into cubes and order additional fruit platters from your caterer or the local grocery store. Chocolate fountains can be found to rent, but you can buy your own for under $50! *Don’t forget to order the chocolate! 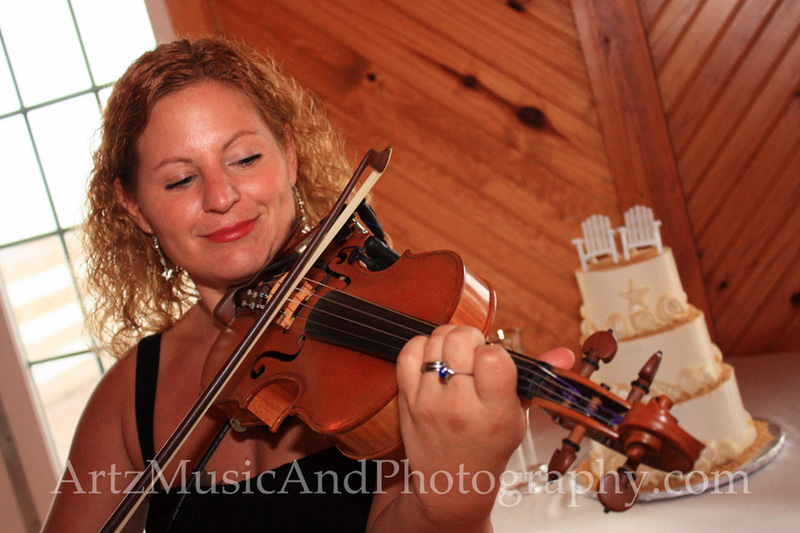 More than a wedding musician, Sue Artz is a bride’s best friend and “guidance counselor” in the months and weeks leading up to your big day. A classically trained concert violinist with a Bachelor of Science Degree in Music Performance, Sue has been performing on stage since age six and has played both Carnegie Hall and CBGB’s. Sue and her husband Matt launched Artz Music & Photography in 2006 as a one-stop wedding team offering ceremony violin music and reception DJ services by Sue Artz, in addition to full photography packages, as well as family beach portraits, engagement photos, bridal portraits, senior pictures, and “trash-the-dress” portraits by Matt Artz. 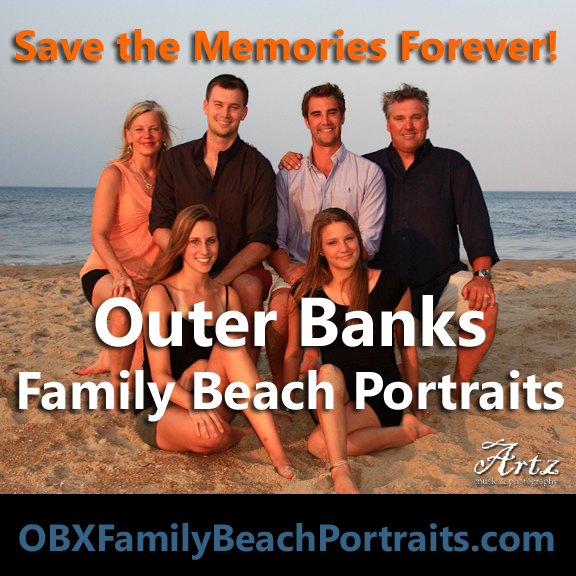 Visit Sue online at OuterBanksBeachWedding.com! This entry was posted in Wedding Tips and tagged catering. Bookmark the permalink.